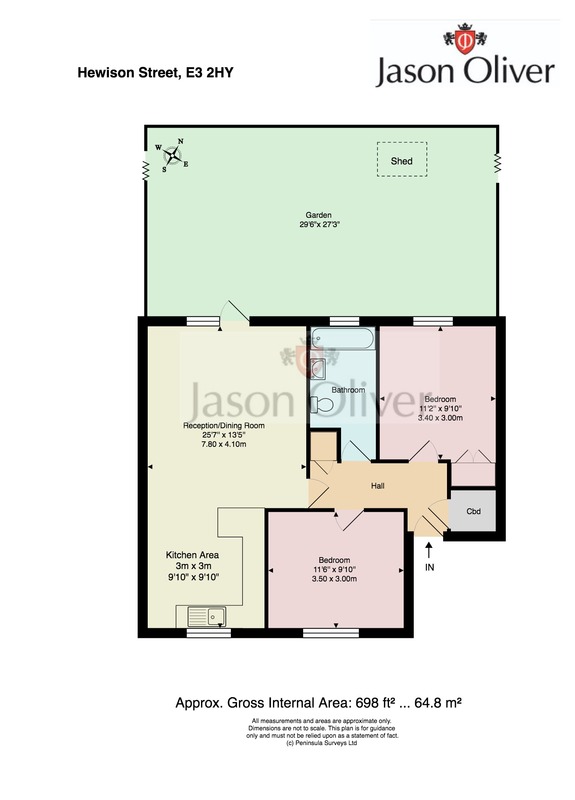 Jason Oliver Properties presents this well maintained and well positioned ground floor purpose built two bedroom apartment. The property boasts an abundance of natural light and comprises; hallway with storage, open plan lounge / kitchen area with access to private garden, two double bedrooms, family bathroom, ample storage and one allocated parking space. The property is located a short walk away from the vibrant Roman Road and the open green spaces of Victoria Park and the Olympic Park as well as close proximity to Bow Road Undeground Station and Hackney Wick Oveground Train Station. CHAIN FREE. Viewing highly recommended.